I've already fallen in love with this song ever since I heard it in Gu Family Book's long trailer. Lee Sang Gon (Noel) sang Love Hurts beautifully, he's able to capture the emotions which makes me dreaded to see what's going to happen with Kang Chi & Yeo Wool's love story. Will they have the same fate as Kang Chi's parents? I hope not! 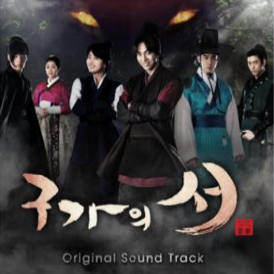 This OST was released today at noon and is available on Melon and many other Korean music sites. That fills up my heart? The pilot episode of GFB started off with a solid bang, gorgeous cinematography & excellent special effects, GFB so far is a winner in my eyes. 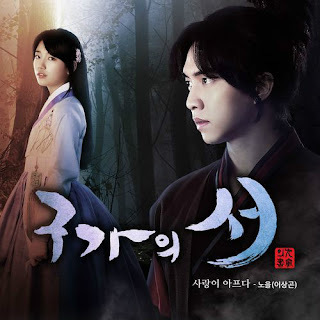 Gu Family Book Special OST Album is now available on YesAsia (Release Date: 17 June 2013). OSTs & 20 background musics are included on a special 8GB Flash Drive + music videos & Suzy's recording video on a special DVD. Kang Chi's special bead bracelet is also included with this special album. Gu Family Book OST Album is now available for pre-order on YesAsia (Release Date: 26 June 2013). All OSTs (including Choi Jin Hyuk's acoustic version of Best Wishes to You) and 32 instrumental musics are included as well as special DVD (music videos & Suzy's recording video).